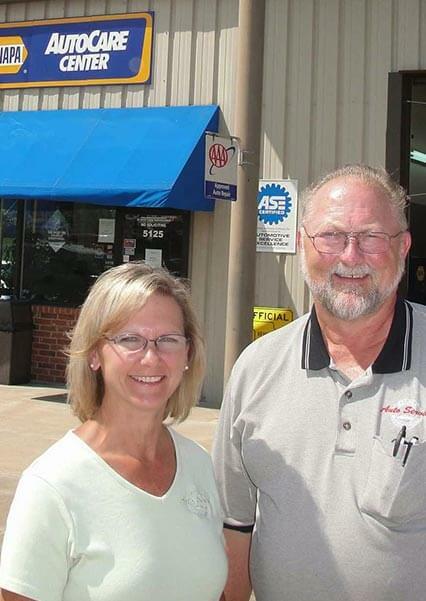 Blue Springs Auto Repair - George McCorkendale Auto Service, Inc. I was fortunate enough to find George McCorkendale’s right when I moved to Blue Springs. Early on I found them straight forward and, knowledgeable, and full of integrity. If you are new to town or search for a new place, look no further than McCorkendales. McCorkendale's is the absolute best auto repair I have ever encountered. And encountered I did while driving x-country with my children when the check engine light flashed. They got us right in, communicated honestly, clearly (to a non-car enthusiast) and often so that we were able to make other arrangements home until the engine was replaced. Customer service was above and beyond. Plus they followed up with us once we had our truck back in Colorado. I couldn't have asked for a better breakdown, we felt as if we were in good hands the entire time. Thanks!!!!!! George, Cheryl and the technicians do a great job. I feel that when I have work done there it will be done right and with honesty and integrity. Great Job!! I have been going to McCorkendale's for a long time. They are the most reliable and honest auto service facility that I have ever gone to. I have taken all my cars to them for regular maintenance for at least 10 years. I was not born yesterday and have gone to other places and not had the special care that they give me. I have moved away from Blue Springs and live in Columbia, MO and still return to Blue Springs to service my car!! All I can say is keep doing what you are doing!! I have been a customer of George Mccorkendale Auto Service for years. I have never been disappointed by their outstanding service. This business employs highly trained technicians. Ask them about their extended warranty parts. George and Cheryl are honest and they stand behind their work. If you haven't given their business a try, do yourself a favor and visit them when your vehicle requires service. outstanding service and the only people i trust to work on my vehicles. from my classic mustang to my 2017 pickup, these guys know what they are doing. they are fair and ethical. Awesome job like always. They understand that sometimes every problem can’t be fixed all at one time either with time or finances. They look at the most severe and plan it out for you in the next few months. Always nice and professional and if they can save you money they will. I have used many repair shops and they are by far the best on cleanliness, honesty and helpfulness. George and the crew are top-notch, took care of everything that my car needed and I couldn't be more happy with the results. I would recommend in a heartbeat! Timely professional service in a very clean and friendly enviorment. McCorkendale has been maintaining my cars for 13 years and are simply the best shop I have ever used! I trust them with my car repairs. They are honest & don't try to fix things that are not broke. The service is quickly done & they will call you on their progress with big jobs. Wouldn't take my car anywhere else. I have known the McCorkendale's level of service from when his shop was in Independence until now where his shop is in Blue Springs and have never received anything but AAAAA service and even more everyone is courteous and friendly. Took my 69 Chevelle in on Wednesday April 11, 2018 for new tires. As always, the work was exemplary. I was treated with the utmost kindness and respect. Great shop. Honest and so knowledgeable. Thank you! Good folks there. Got me in and out timely. The only place I found that could balance my aftermarket rims. My truck was taken care of well! No more vibration in the front end. I recommend! The quality Automotive Service of Excellence (ASE) Master Certified auto repair technicians at George McCorkendale Auto Service Inc. employ today’s latest automotive technology and are equipped to handle all major and minor auto repairs on foreign, domestic, hybrid, and European vehicles. Our staff is highly trained and knowledgeable. The result? We provide you and your family peace of mind that comes from knowing your vehicle has received quality auto repair and care that keeps your car safe and reliable. George McCorkendale Auto Service, Inc. is a Napa Auto Care-certified center and a AAA-approved auto repair facility. 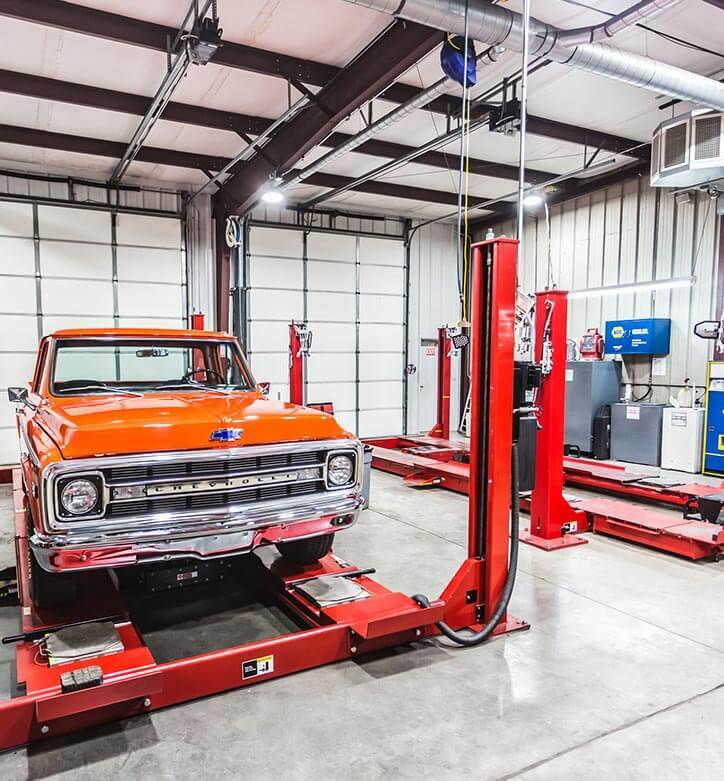 We are able to provide the benefits of an established national entity while maintaining the personal touch of a family-owned auto mechanic center. 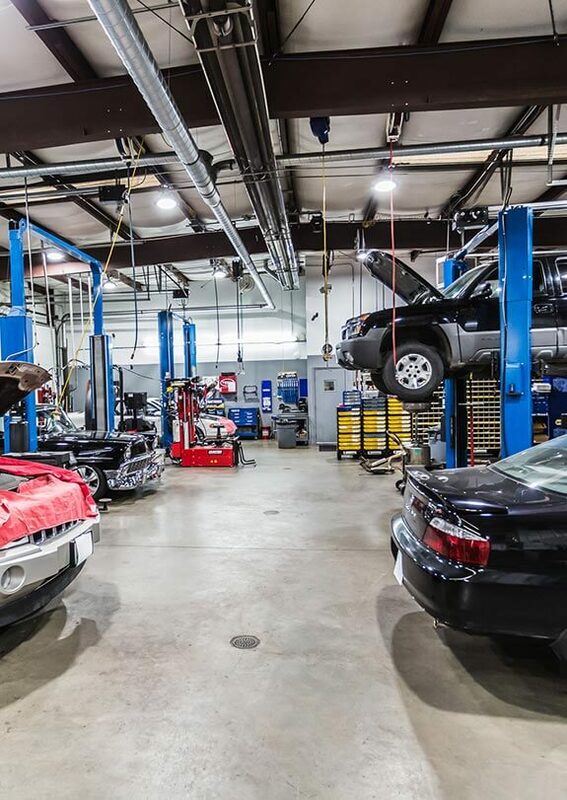 We understand that your vehicle is a major investment, and that is why our auto shop team cares for each customer’s vehicle as if it were our own. We have made the commitment to train our personnel in high-tech Hybrid maintenance and auto mechanic repair. We also put in place special procedures for high voltage for optimized safety and care while we work on your vehicle. Call on the car repair and auto service team that treats your vehicle like our own. George McCorkendale has been providing auto repair and service for the Blue Springs community and the surrounding area since 1997. 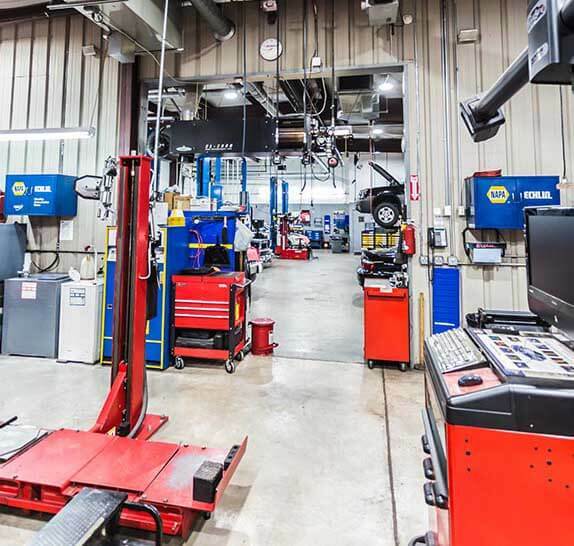 George McCorkendale Auto Service, Inc. is a family-owned business delivering honest and professional auto mechanic and maintenance services to the people of Kansas City, Blue Springs, and Lee’s Summit. Trust the experts at George McCorkendale Auto Service with your vehicle. To place a reservation for auto service, please call us or send us an email. Our AAA-approved auto repair shop will take the utmost care of your vehicle. Protect your fleet with our fleet warranty which is 6 months on parts and 90 days on labor for most repairs. 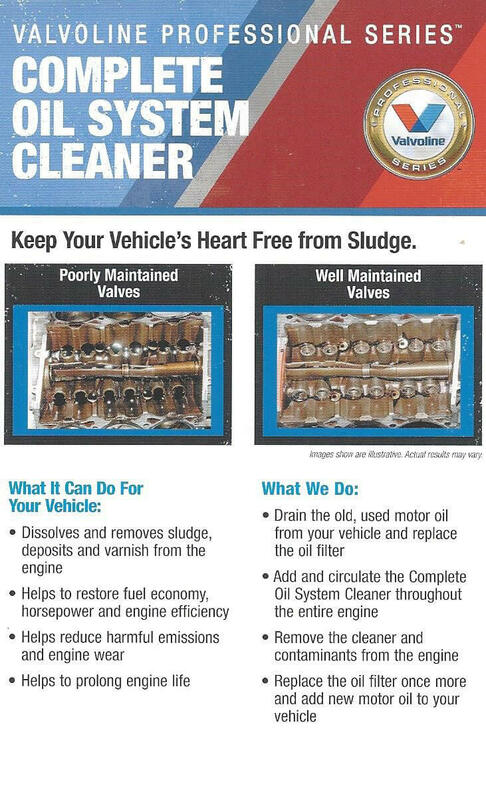 Value line and oil changes are excluded. For our valued customers, we offer a nationwide Road Hazard Insurance you may purchase for your car tires. This great warranty offers car owners protection on their investment. Visit our tire shop today.